Though Rio de Janeiro is famous for its sunny days, beach-centric lifestyle, and its great outdoors, the nightlife here is equally renowned. Centred around an animated bar culture with easy socialising and a few post-beach beers, hitting the town is a must. 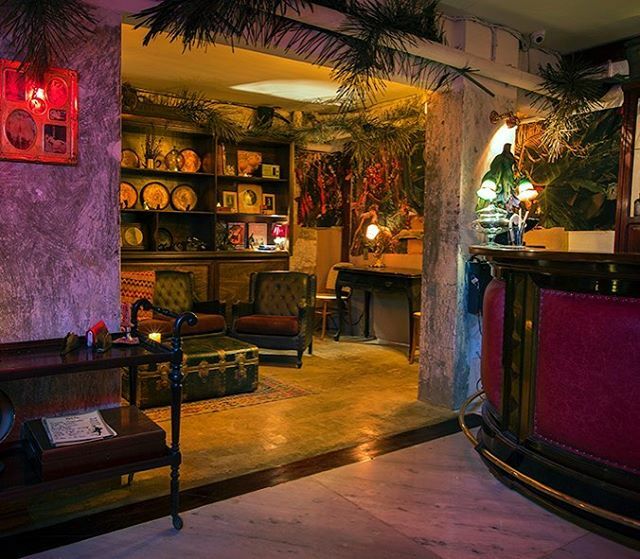 Here are the most beloved bars in Rio de Janeiro. Located in the heart of bohemian Santa Teresa, Bar do Mineiro is one of the neighborhood’s most iconic hangouts. With black and white photos on the walls and rows of spirits lined up behind the counter, the venue effortlessly makes you feel at home. 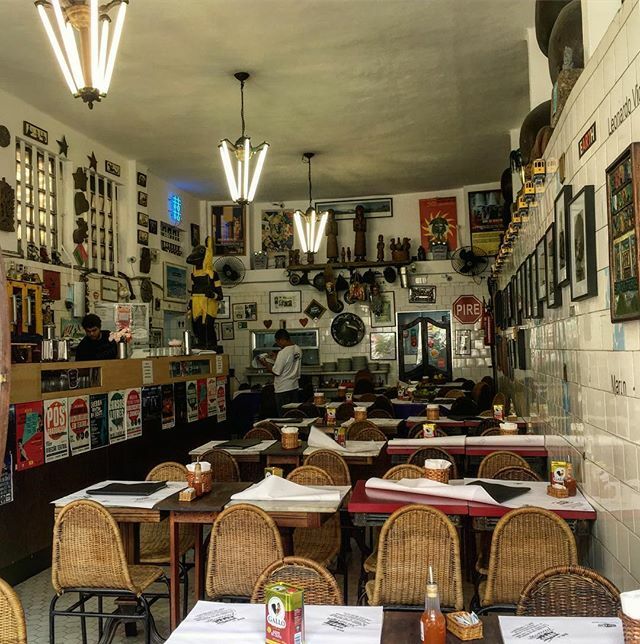 Go for lunch and feast on their famous feijoada before spending a pleasant afternoon sipping cold beers and chatting with locals. Endearingly referred to as the best pe-sujo in Rio (basic, working-class bar), Bip Bip makes little effort to reel customers in, simply because it doesn’t have to – they come of their own accord every night to listen to the famous roda de samba (samba jamming session). The bar is about as traditional and old-school as it gets – customers get their beers themselves from a fridge at the back and the owner keeps a tab on good old pen and paper. Just don’t clap at the end of the music – the owner doesn’t like to disturb the peace, yet is content with people showing their appreciation through clicking their fingers. One of the most popular bars in Rio de Janeiro, Pavão Azul hasn’t even had to blink an eye in regards to the more modern bars cropping up in Copacabana. Stubbornly sticking to what it’s known best for decades is the key to its charm and unique selling point as one of the most traditional botecos (Brazilian bar) in the city. Go there early to get a seat – any later than 6pm and you’ll be scrabbling to sit down on one of the plastic chairs scattered on the pavement. It’s famous for its codfish bolinhos(fishcakes) and extra cold beers. This classic bar is located in the charmingly tranquil Urca neighborhood. Bar Urcahas a prestigious spot overlooking Guanabara Bay that provides a backdrop of the peaceful sounds of water gently lapping against moored up boats and a spectacular place for a sunset. Grab a chilled beer from the bar and a couple of cheese or prawn pies, and head over to the wall across the street to join the laid-back outdoor-drinking crowd. With its fresh, modern take on a traditional boteco, Boteco Belmonte has become a crowded hangout both during the week and at weekends. The best spot in the house is at one of the tall tables dotted outside, where visitors can enjoy a strong caipirinha or extra cold beers to help wash down the house specialty – open-topped pies that have a tiny pastry base and heaps of filling on top. 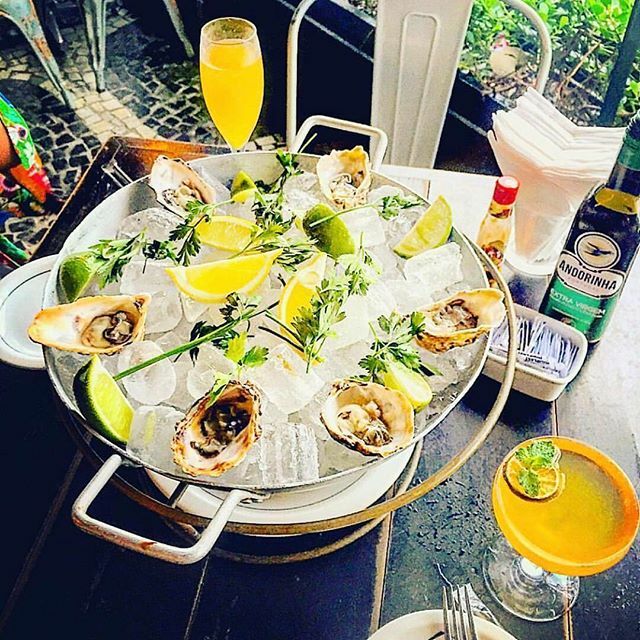 Located in Leblon, Rio’s wealthiest neighborhood replete with fancy, expensive bars, Bar Bracarense is a breath of fresh air for embracing long-enduring customs and maintaining its appearance and offerings as a true, traditional boteco. The bar has outdoor seating, ideal for balmy Rio evenings and serves rustic, classic Brazilian pub food and national beers. One of Rio’s first wine bars and certainly the first to sell only Brazilian wine, Canastrahas become something of an icon in beach-centric Ipanema. Just a couple of blocks from the beach, Canastra fills up every day of the week with crowds drawn to its sweet, smooth wine and to-die-for cheese. Tuesdays are one of the most popular days for its servings of fresh oysters. The term ‘Carioca da gema‘ is an expression used to describe someone who is truly Carioca – someone born in Rio de Janeiro – in that they were born and raised in the marvelous city and are bursting with pride because of it. This bar captures that spirit of Rio, with nightly live samba and choro bands, classic Brazilian food, and chilled beers that are a requirement on a summer’s night in the city. One of the surprisingly few waterfront bars in Rio, Bar Astor has a perfect spot between Arpoador and Ipanema that overlooks the beach, the ocean, and the magnificent sunset over at the end of the shore. Originally a São Paulo brand, the bar came to Rio and set the standards high for sophisticated, trendy bars. Head there to enjoy the award-winning chopps beer and classic Brazilian snacks with a modern twist. A group of young graduates got together and created Comuna. The result? A laid-back, well-loved cultural space in Botafogo that mixes art with knock-you-dead burgers and chilled imported beers. The artisanal gourmet burgers alone are worth the trip there, yet it’s the hipster vibe and a young, alternative crowd that will make you stay.